Have you become used to the Christmas story? 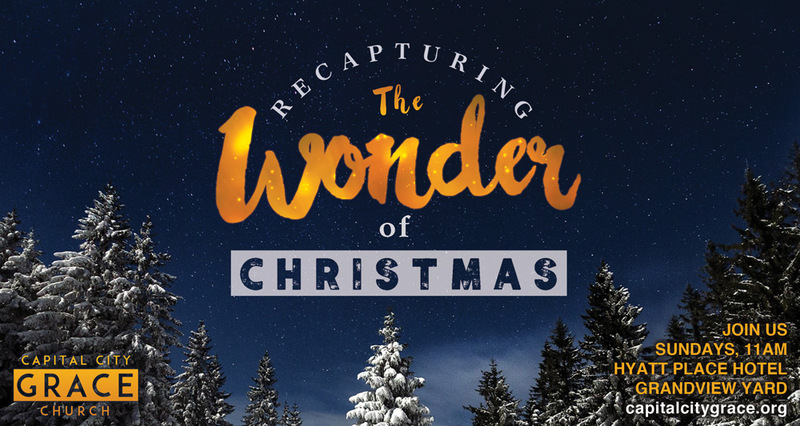 Do you feel like you’ve heard the story of the manger, the baby, the wise men and the shepherds over and over so many times throughout the years that the most wonderful story of all seems to have lost it’s wonder on you? You may be thankful to God for the gift of His Son, but you read the story and you know what happens, therefore, the awe of the true meaning of Christmas isn’t there in your heart. We say things like, “Kids still have the magic, or wonder of Christmas, but the wonder goes away once you grow up.” There is truth to that, but since God did the impossible by coming to earth and walked among us I believe it’s also possible to recapture the awe of Christmas. But how do we recapture it? On these three Sundays in December I’m not going to tell you some new story you’ve never heard before. Rather, through this message series each Sunday we are going to look into the Christmas story by stopping at the manger to adore the newborn King. Did you catch that? We’re going to stop. I love everything we do around the Christmas season, but I can become so busy during this time of year with good things like celebrating with family and friends that I drive quickly past the manger. We can tend to treat the manger like a fast food drive through wanting to cram down our spiritual food and hurry on to what’s next on the holiday agenda. I don’t know about you, but I don’t want to rush past the manger this year. I want to stop. Do you want to stop? I want us to reflect in God’s Word, worship with Christmas songs, and adore the God who came to live among us. I believe when we stop and look upon King Jesus we’ll be in wonder all over again. That’s what we hope to accomplish this Christmas season in these worship services. Whether you’re used to the story, feel caught up in the hustle and bustle, or are hurting this Christmas season I hope you’ll come, stop to worship the newborn King. Call me crazy, but I believe it’s possible to not be pushed by the hustle of the holidays. It’s possible to have a truly wonder-filled Christmas this year, when we savor the richness of the greatest story ever. Below are the message topics we’re covering each Sunday. I hope you’ll join us for one or all of these Sundays. Dec 20 – “The Wonder of the Gift: Hope When Life Seems Hopeless” – Our Christmas Service!